Life moves really fast sometimes - where it becomes so easy for us to buy all of the pre-made frozen garlic bread and just cook that up whenever pasta is on the menu. This recipe may take a few minutes longer than it's frozen counterpart, but it is super easy and definitely a fresher option. 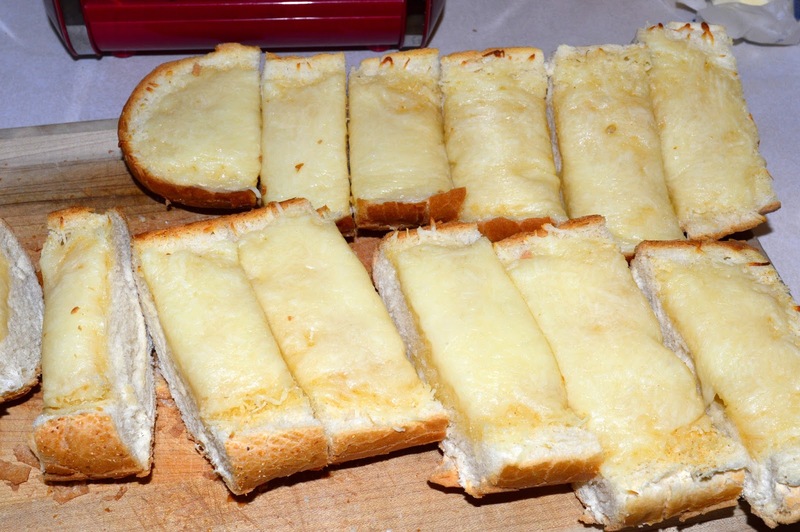 The freshness of the French Bread and gooeyness of the melty cheese creates a winner side dish for any pasta dinner for everyone in the family - kids included. One thing that makes this incredibly flavorful is the time to infusing the melted butter with garlic. The rich garlic flavor that develops from that infusing is perfectly balanced by the mozzarella. One big thing, when you pull these out of the oven and cut them, make sure to tent them with tin foil. They lose heat quickly and are great when they are still hot/warm! Begin by melting the butter on the stove over med-low heat placing the 2 crushed garlic cloves in and let the butter infuse with the garlic flavor. Cut the French loaf down the center. Brush the bread with melted butter. **If desired, sprinkle garlic powder over the butter. Cover with tin foil, place in oven and bake for 10 minutes. 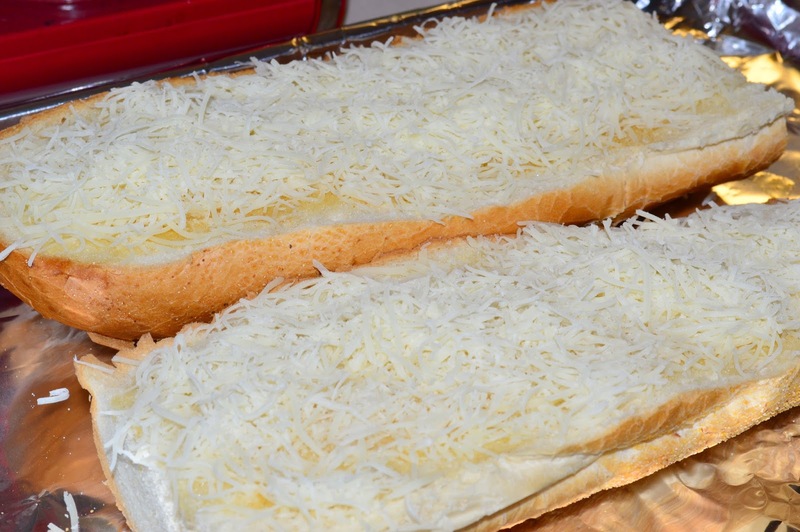 Remove from oven, remove foil, add shredded cheese to bread. Place back in oven and bake for another 5 minutes until the cheese is all bubbly and melted. Remove, let stand for a minute and then cut for serving.